The Arduino ecosystem, despite the comments it receives from Real Engineers™, is actually pretty great. 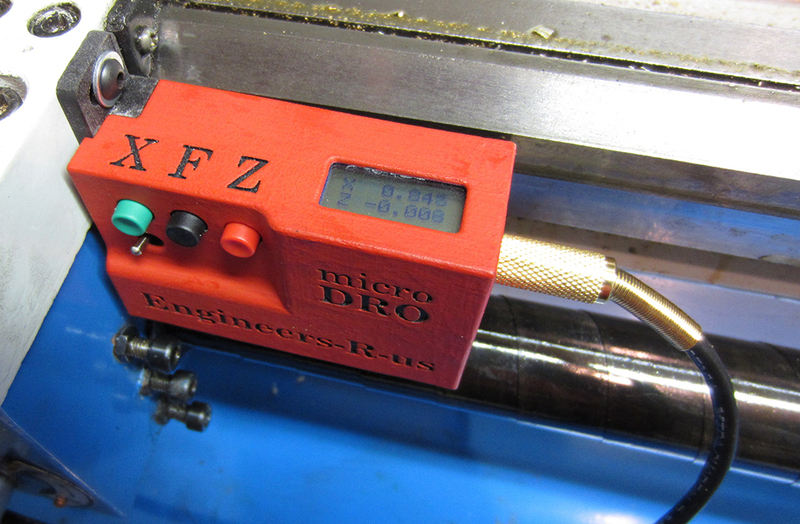 There’s no other tool that works with as many varieties of microcontrollers, has as many libraries, and is as easy to use as the Arduino. It’s perfect for getting a project up and running quickly, but when it comes down to getting the last cycles or kilobits out of an embedded system you’ll quickly find the little blue infinity icon just won’t cut it. Embedded system design goes far beyond the Arduino ecosystem, and for this week’s Hack Chat, we’ll be talking about squeezing the last drops out of tiny pieces of silicon. 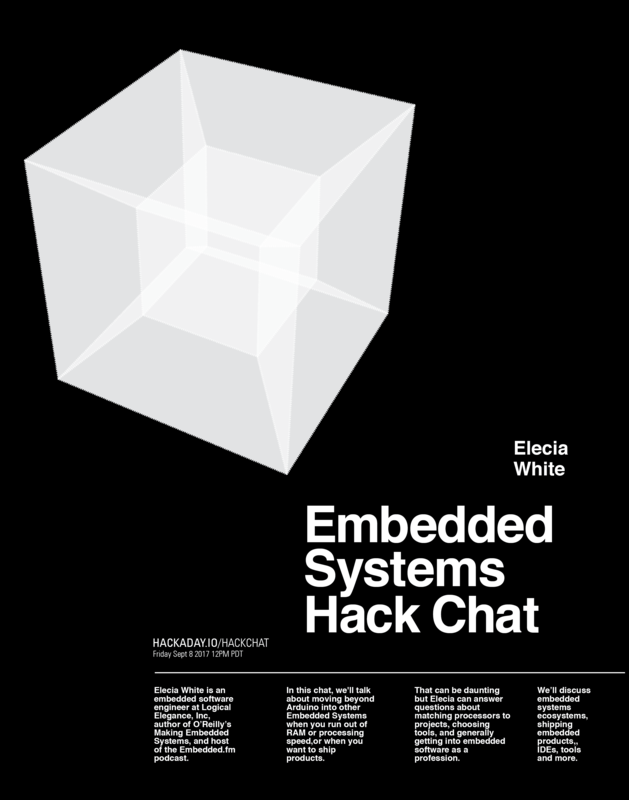 Our guest for this week’s Hack Chat will be [Elecia White], embedded software engineer at Logical Elegance, author of O’Reilly’s Making Embedded Systems, and host of the Embedded.fm podcast. In this chat, we’re going to be talking about moving beyond the Arduino ecosystem. Topics for this week’s Hack Chat will include embedded systems ecosystems, how to match processors to projects, choosing IDEs, programmers, and other tools, and actually shipping all those whizz-bang microcontroller projects out to eager buyers. We’re opening up the floor to all questions, so if you have something to add, here’s a spreadsheet to guide the discussion. Our Hack Chats are live community events on the Hackaday.io Hack Chat group messaging. Hack Chats are mostly, usually at noon, Pacific time on Friday. This week is no exception and everything is going down noon, PDT, Friday, September 8th. Are time zones confusing? Not a problem; here’s a handy countdown timer!